The HeadBed will add to the overall hairdressing experience and to the all-embracing comfort and safety of your clients at the washbasin. 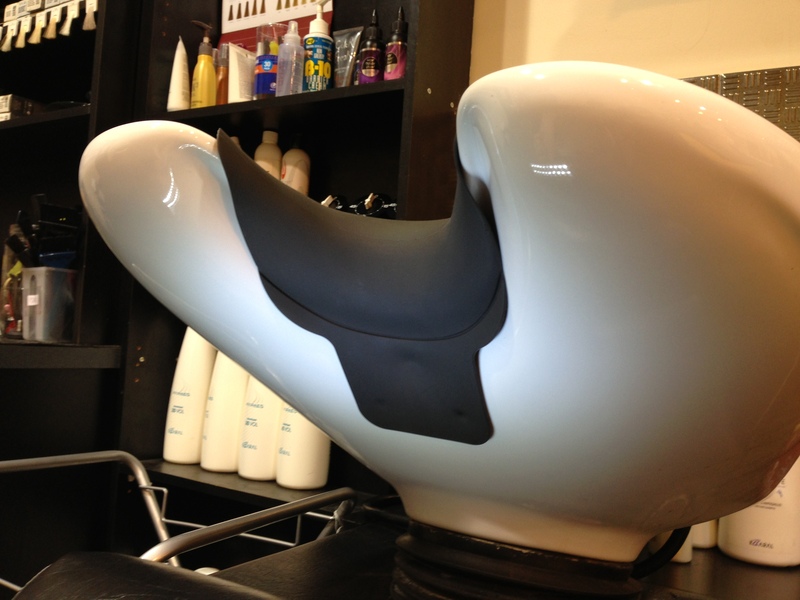 The HeadBed is designed to support the head at this heaviest point, the Occipital bone, so that the neck muscles can totally relax whilst the client is at the salon sink, but it is small enough not to get in the way of hairdressers completing their tasks. 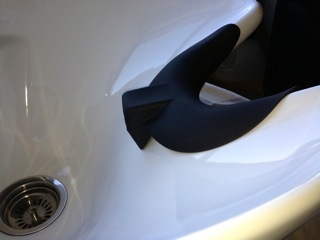 Remove all current foam/rubber padding from the edge of the salon sink and ensure the surface is clean and dry. Place the HeadBed cushion on the washbasin with the head support platform inside the basin, centred directly in line with the washbasin curve. As shown in the picture below. 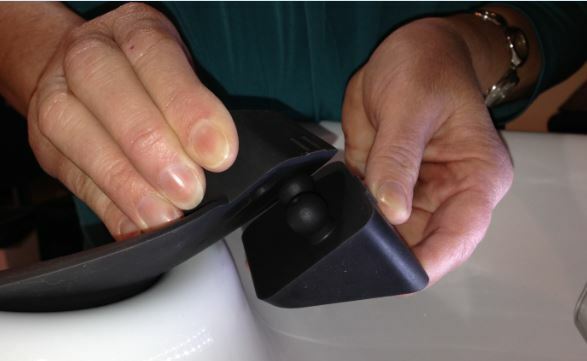 Wet the suction cups with some clean water, and press the flap with the suction cups firmly against the underside of the basin to secure the HeadBed in position. 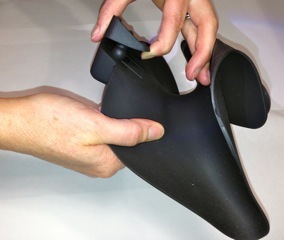 Choose the adapter plug which will best support the head platform and keep it level. If your basin is deep and steep near the neck edge, choose the 30mm adapter plug. If your basin is shallow, choose a 20mm adapter plug or no adapter plug at all. Line up the H and press the two pins of the adapter plug firmly into the head platform holes until they lock together. (This will complete the H on the front of the adapter plugs). Proceed with your shampoo and hair treatment as per usual. If you need to change the adapter, hold the head platform with one hand and with the other hand, insert your fingers under the thin edge of the adapter plugs and pull away gently. To clean the salon sink, simply pull the HeadBed forward and off the neck edge to access the full surface of the sink. Wipe the wash basin down and replace the HeadBed back to its original position. It is important to maintain your HeadBed. At the end of each day, simply rinse off any chemical residue and wipe over with a dry cloth. Do not use steel wool, scouring pads or abrasive cleaners as these could damage the surface. The HeadBed may be left on the sink, or stored safely in a cupboard or shelf if needed.